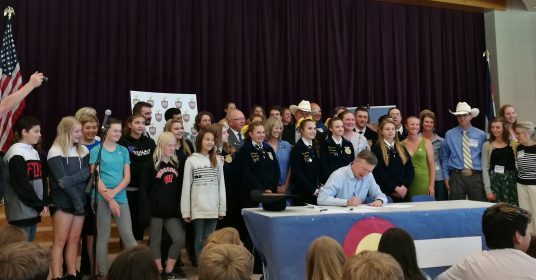 Over the last year, NYFC chapters and members across Colorado testified, authored op-eds, met legislators in Denver, and brought legislators out to the farm to talk about the importance of supporting beginning farmer education through apprenticeships. SB18-042, a bipartisan effort to create an Agricultural Workforce Development Program is the result of their efforts. Today, Colorado Governor Hickenlooper traveled to Durango, CO to sign SB18-042 into law. The bipartisan legislation passed unanimously from the first-ever Colorado Young and Beginning Farmer Interim Study Committee, established in 2017, before heading to the full General Assembly this session. The new program will reimburse qualified agricultural businesses up to 50% of the cost of hiring a farm apprentice, helping existing farmers and ranchers stay in production while allowing young farmers and ranchers to gain better access to land, equipment, and mentorship in Colorado. “Our agricultural lands are an essential part of the fabric of Colorado, and we must do what we can to keep them viable and productive,” said Representative Barbara McLachlan (D-Durango), the bill’s other prime sponsor in the House. 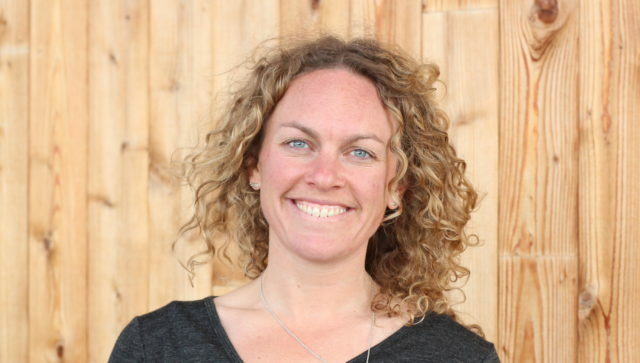 “Young and beginning farmers represent our future, our environment, and our economy.” In the Senate, the bill was championed by prime sponsors Sens. Kerry Donovan (D-Vail) and Larry Crowder (R-Alamosa). This bill comes at a critical moment for Colorado agriculture, which is reflective of national trends. The average age of farmers in the state is 59, higher than the national average. Sixty-four percent of Colorado producers will exit farming over the next two decades, and over 20 million acres, or 63% of Colorado’s agricultural land, will need a new farmer. But there are not enough young farmers to take over: Colorado farmers over 55 outnumber farmers under 35 by twelve-to-one. Ensuring that young farmers and ranchers have access to land and mentorship is critical to the future of agriculture in Colorado. Reps. Catlin and McLachlan attended Thursday’s bill signing. Joining them were dozens of local farmer and rancher leaders from the Four Corners Farmers and Ranchers Coalition, a joint chapter of NYFC and the Rocky Mountain Farmers Union, as well as members of FFA and the Old Fort Lewis Farmer Incubator Program. 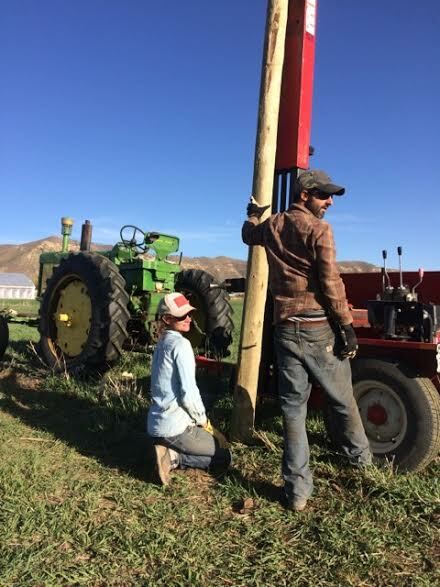 So many organizations, individuals, and legislators rallied behind young farmers in this effort over the last year, showing that support for the next generation of farmers and ranchers is here. Let’s keep it going.